As the new year picks up speed traders are returning to a new round of fresh buying. It looks like the last trading day of 2016 selling fade is history as potential shorting opportunities generated by it are reversed. For example, the 'bull trap' in the Nasdaq was blown away as the index closed at new all-time highs. 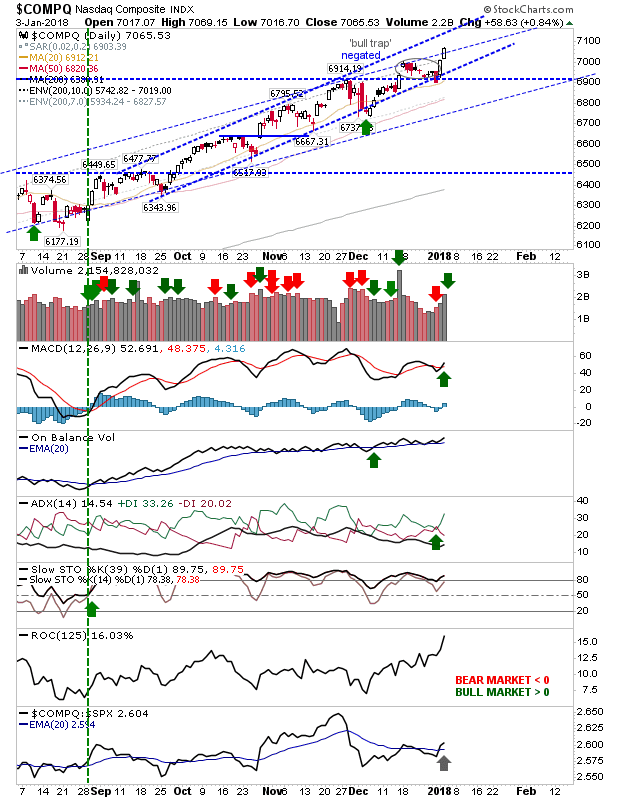 This buying was enough to reverse the MACD trigger 'sell' and accelerate the bullish technical performance of other indicators. The faster upper channel line is the new target as the older, slower one was breached on today's close. 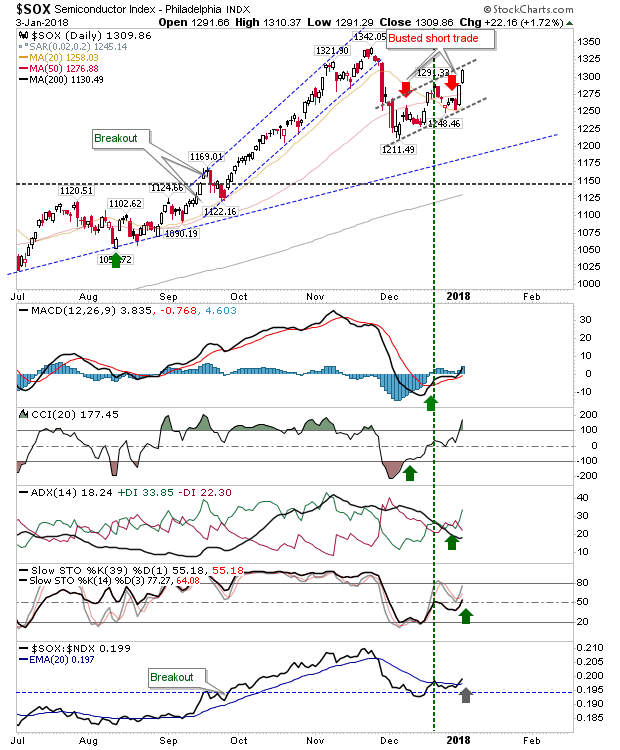 The S&P is still trading inside its broader channel although it has yet to see a new MACD trigger 'buy'. The short play in the Russell 2000 was clipped by today's buying. 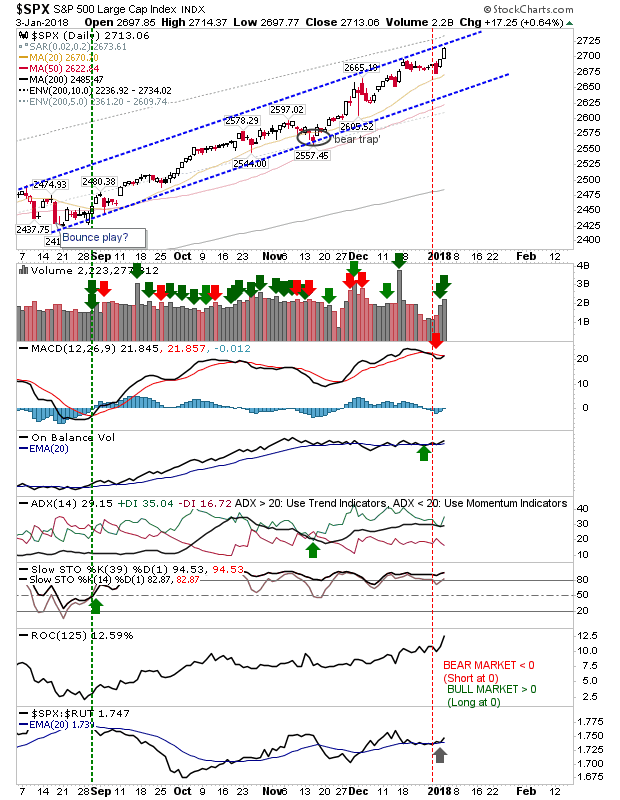 It may not have hit all short stops but if this index is to follow the action of the S&P and Nasdaq it should close higher. What happened today does count as a 'bear trap'. There was a MACD trigger 'buy' to go with it too. 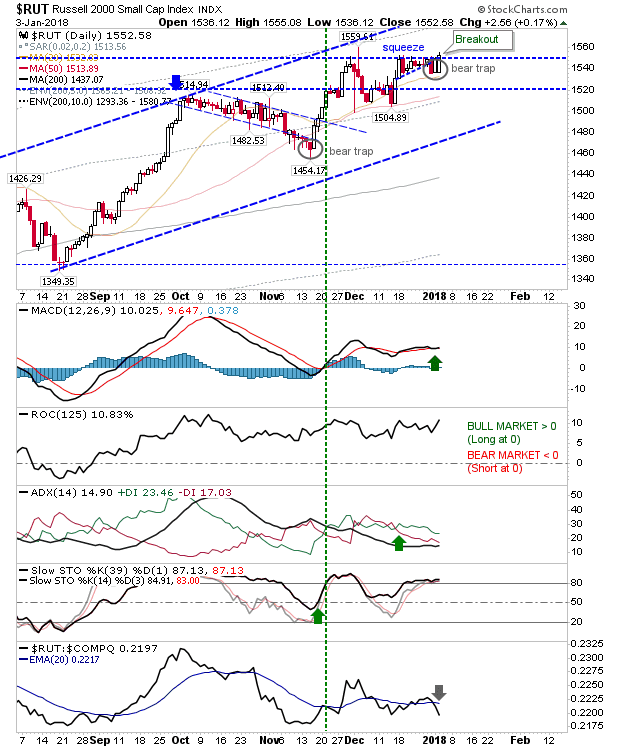 The Dow does still have a MACD trigger 'sell' to contend with. This, combined with the tag of channel resistance may give shorts a second bite of the cherry. Meanwhile, the Semiconductor Index has seen a second short-play failure; although action from December may yet morph into a 'bear flag'. 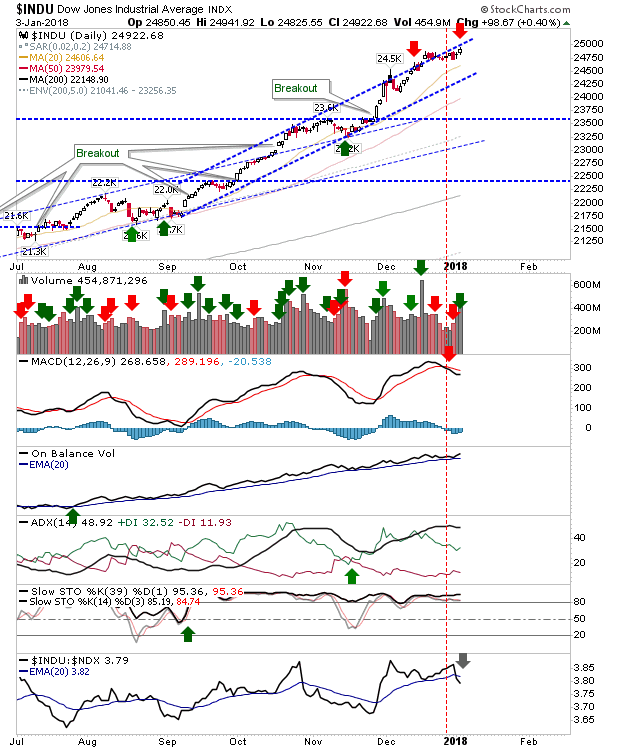 A tag of 'bull flag' resistance may act as another shorting opportunity for those not already burned by the last two possibilities. Tomorrow will be about watching action as indices tag channel resistance (or 'bear flag' resistance in the case of the Semiconductor Index). Any failure to break past such levels may be viewed as a place to attack. Long term holders don't have much to worry about as current price and technical action favour continued holding of positions. The only exception to the latter is the Semiconductor Index which still has to refind its prior bullish form.